Sequel to Shards of Honor, chronicling the events leading up to Miles Naismith Vorkosigan's birth. Cordelia Vorkosigan's plans for a peaceful married life (after all the bloodshed and trials recounted in SHARDS OF HONOR) are shattered when a poison gas attack, intended for her husband Aral, leaves her ill and her unborn child damaged. 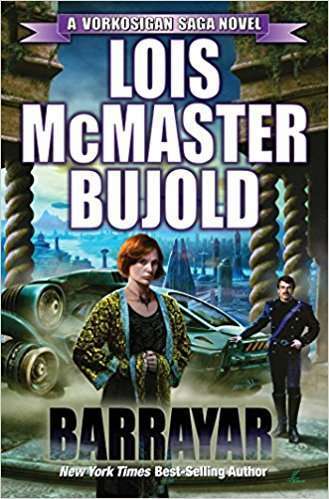 Resisting enormous pressure to abort her son, Cordelia struggles to keep her unborn child--transferred to a uterine replicator--alive while thwarting plans by a ruthless opponent to murder the young emperor and assume absolute power over all of Barrayar. Once again Cordelia displays her courage and her remarkable combat and leadership skills. Winner of the Hugo Award for Best Novel.